A small souvenir of our vanished past has magically survived in a corner of the Walled City. The Delhi Walla is outing the secret to you. 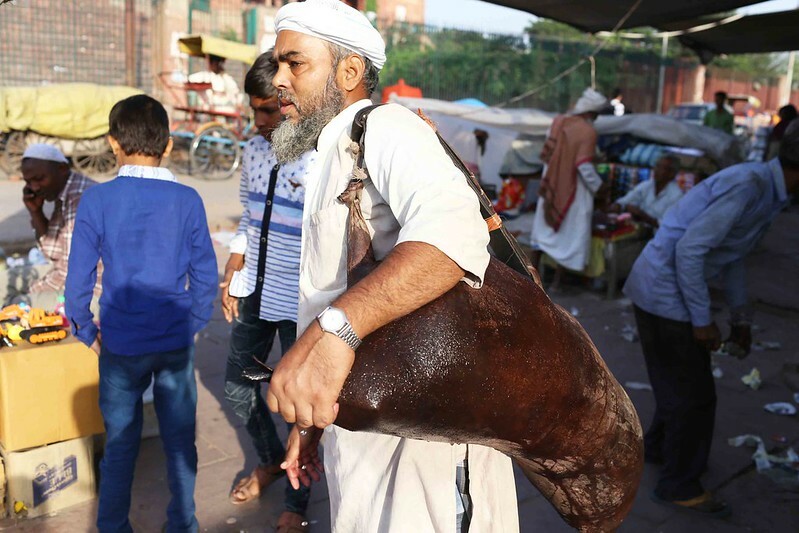 A side wall at Mushtaqeem Chai Stall, outside the east side of Jama Masjid, has long leathery bags hanging from hooks. 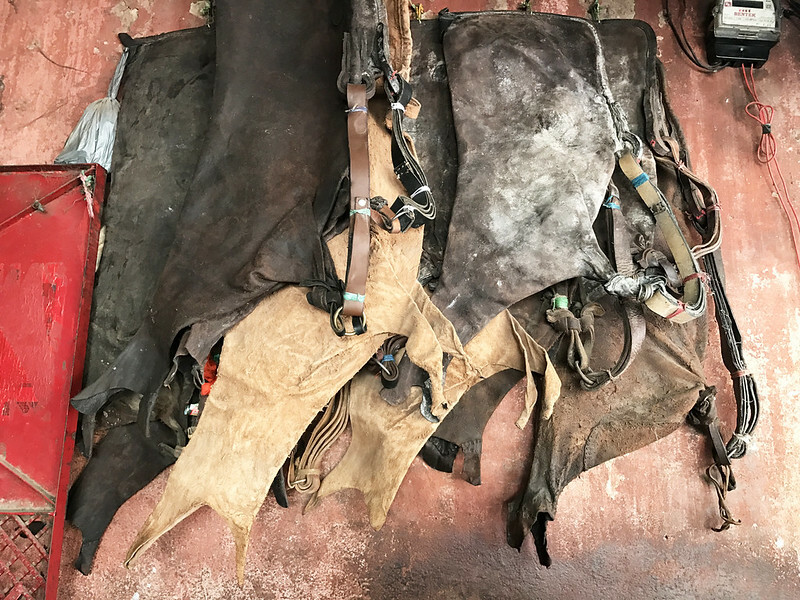 These are traditional goatskin water bags called mashak. In the old times, water-sellers roamed along the labyrinthine alleys of Shahjahanabad selling cold water in these mashaks. 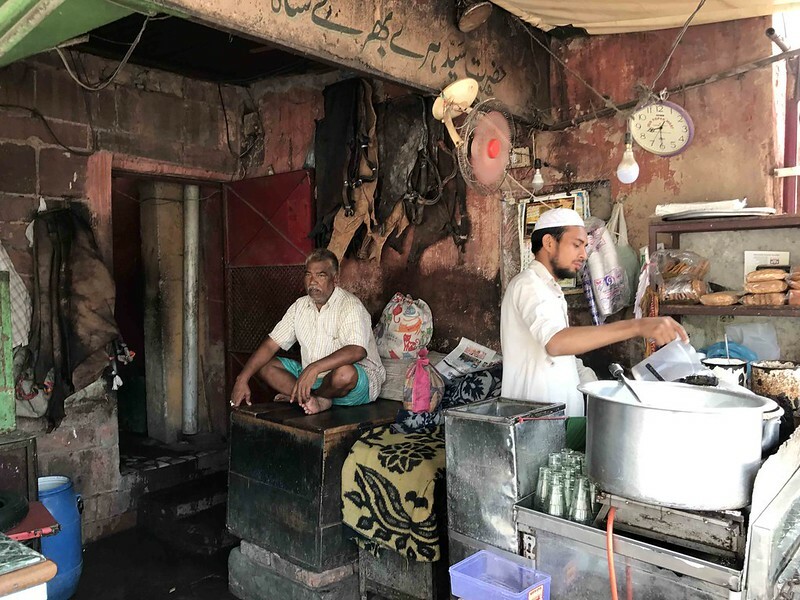 The Old Delhi street of Sakke Wali Gali has always been home to a community that made its living by selling water in the mashak. Today, you will not find such water-sellers on the streets. Nor will you see such mashaks (you see refrigerated water trolleys instead). 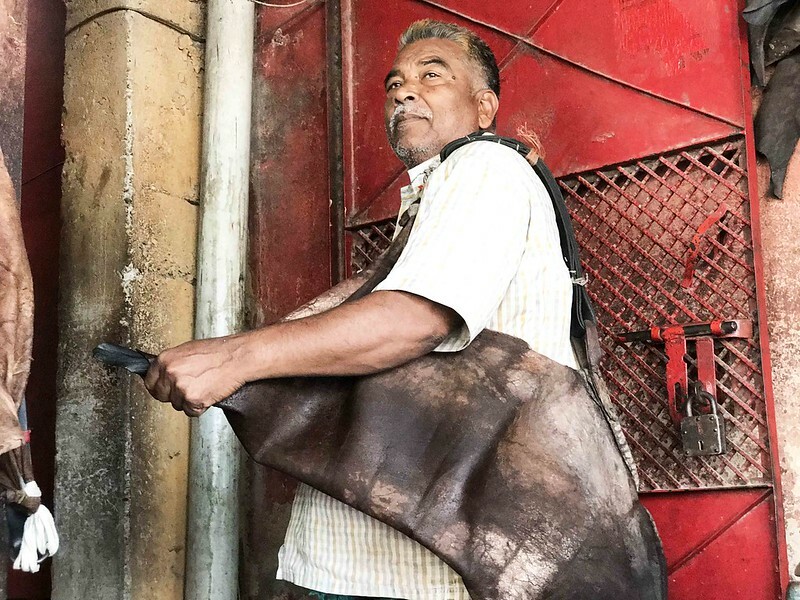 Fortunately, Sakke Wali Gali still exists, so do the descendents of its water-sellers. However, they now deal in spare car parts. Mashaks have become myths of their family lore. This makes the dozen mashaks at Mushtaqeem’s stall extremely precious. 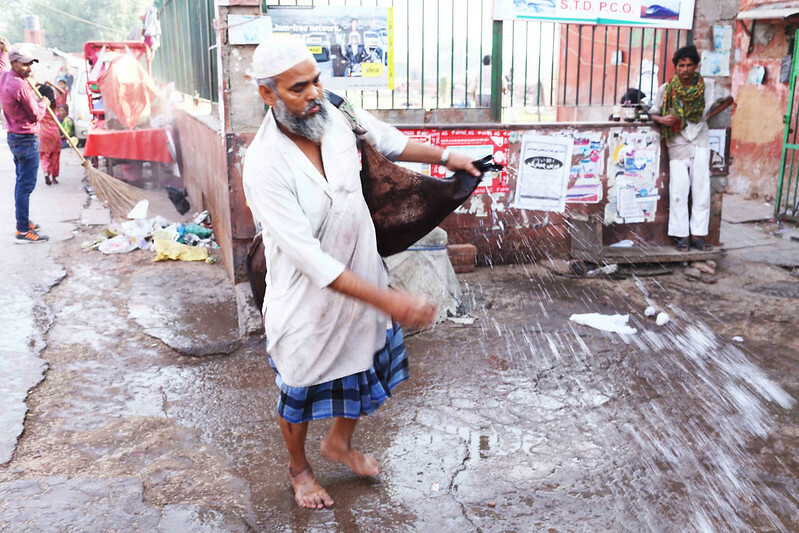 The water bags belong to two brothers— Shakeel Ahmed and Muhammed Jameel (they have no stake in the chai shop). The aforementioned tea stall is situated just outside the Sufi shrine of Hazrat Sarmad Shaheed. The tiny dargah has an old well. 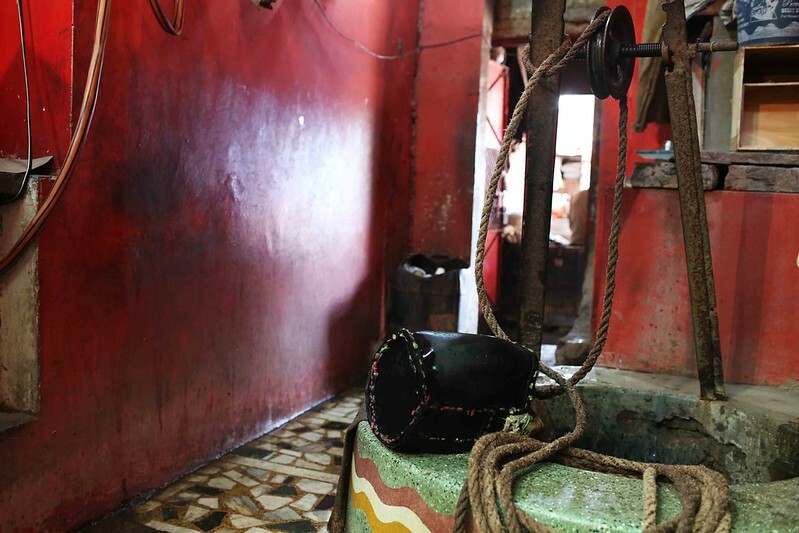 Every morning the brothers are seen drawing water from this well and filling it into the mashaks. 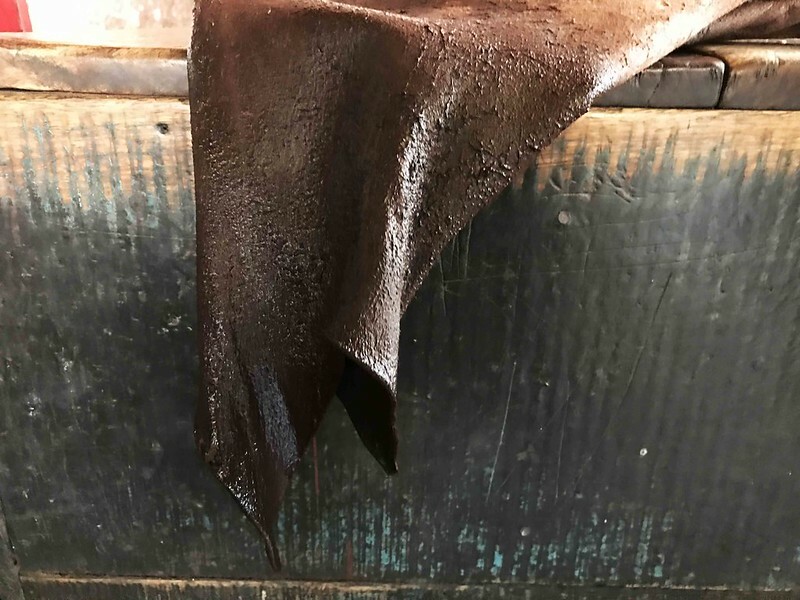 The 65-year-old Jameel, the elder of the two brothers, told me that his “abba” too followed the same profession, and that it passed down to him through a long chain of forefathers. Curiously, this family stayed on with mashaks when others moved on. The brothers though are not from Delhi. They hail from the city of Moradabad in western Uttar Pradesh, and have been living in Delhi since their childhood. Jameel, father of 12 children, said that this hereditary profession would end with him and his brother. Their sons have opted for other trades. Mashaks have surfaced in stories of yesteryears. Mughal emperor Humayun was said to be once drowning in Ganga and was rescued by a water carrier, Nizam, who offered him his mashak to swim over the furious waters. What would happen to mashaks after the brothers would be gone, I wondered Just then Jameel said that he could make a brand-new mashak for me. 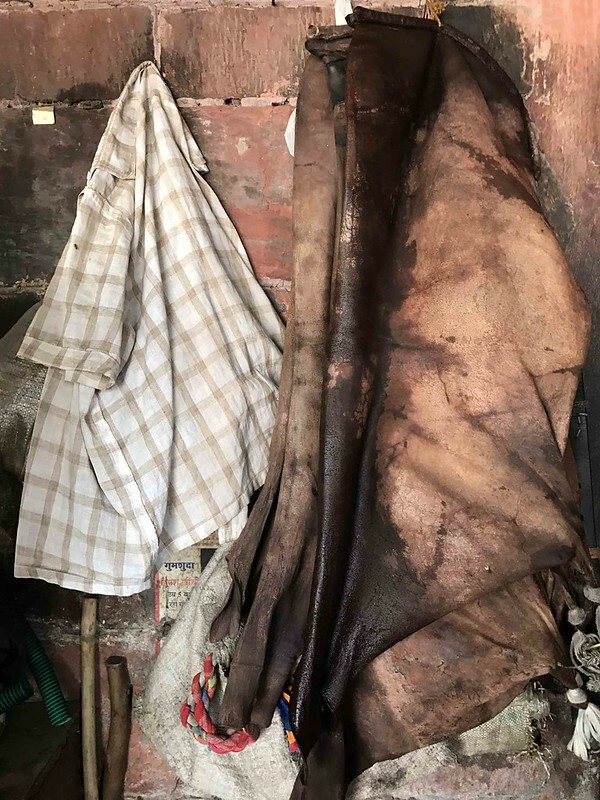 “These days goats are very expensive so we will have to charge you Rs 2,500,” he said in a tone as if demanding an obscene price. In truth, this was as little as a dinner bill in an average Khan Market restaurant. It was a tempting offer and I was already imagining my custom-made mashak as a striking drawing-room decoration, and my dinner guests looking at it in wonder and feeling supremely jealous.